Great new album from Sharron Kraus, the English singer who we’ve followed for many years, and often associated with a general renaissance in Folk Music in these isles…last record we heard from her was Friends and Enemies, Lovers and Strangers displayed her keen knowledge of mythological literature, being her very personal take on the Mabinogion…however she’s on a quite different tack with today’s album Joy’s Reflection Is Sorrow (NIGHTSHADE RECORDS NSR 1), eight new songs penned by Kraus, with less emphasis on the folky-roots and more explorations into intricate, song-craft construction. The lyrics continue to reflect her preoccupation with melancholic and dark themes, but she still sings them with a dispassionate clarity, no matter how painful the subject matter. Her main strengths, her directness and honesty in the delivery, have not departed her. The real departure is, I suppose, the musical arrangements; her fellow supporting musicians, six in all, provide a rich setting with their bass, drums, synth, and organ additions, and propel the music into new zones of excitement, almost with elements of light-jazz and neo-psychedelic swirliness. We can thanks Nick Jonah Davis for the exemplary slide guitar work – bringing a smidgen of Daevid Allen glissando to the album – but also Jenny Bliss Bennet, who works overtime with her recorder, viola de gamba, baroque fiddle and flute to add musical details that Dolly Collins (no less a woman) would have endorsed in triplicate. In short, Sharron has come close to replicating the genius for stylistic combinations that both Pentangle and Fairport Convention achieved in their lifetimes; she’s done this with a mixture of her own intuition, passion, craft, and with the help of these superb players, and not for one minute does it sound forced or contrived. Nick Taylor drew the cover illustration, the Tarot theme and penmanship inspired directly (I would think) by the A.E. Waite Tarot deck drawn by Pamela Colman Smith. 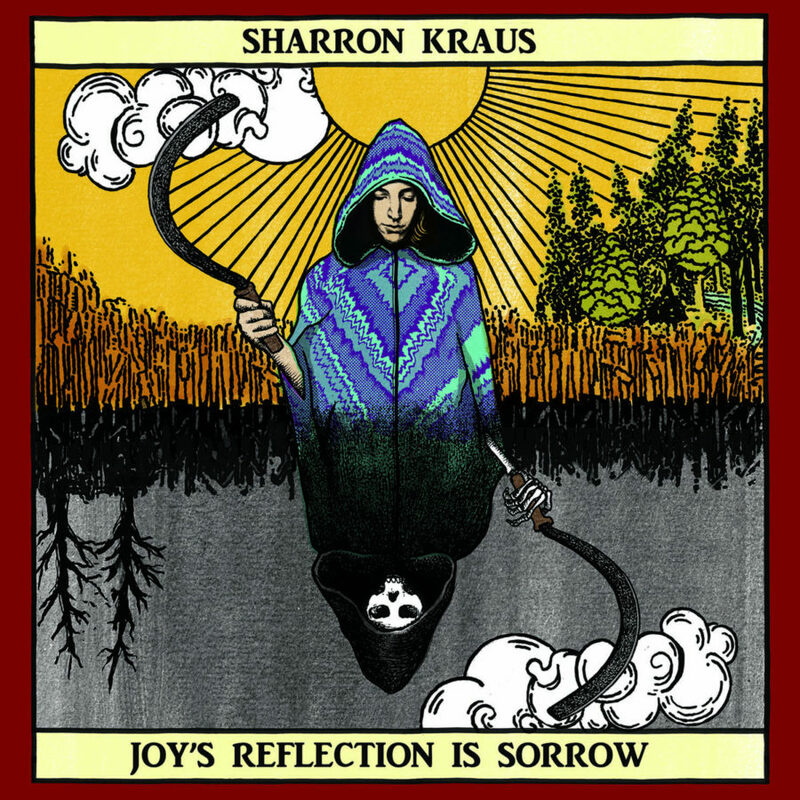 Immaculate album and recommended to lovers of Kraus, folk music, or just good songs. Also available on LP from Sunstone Records. From 7th June 2018.